Neglecting your tree’s nutritional needs can be a costly mistake. Mature trees experience extra stress in an urban landscape. During home construction, your trees may have been weakened, resulting in hidden damage to the root system. When clearing and grading your property, the organic rich top soil was removed, leaving the hard clay layer as the new soil surface. The microbial activity within the soil was taken away, and the remaining populations were drastically reduced. Your trees are now left to thrive in dead compacted soil. Other serious issues that affect your trees are drought conditions, synthetic fertilizers, and toxins used to suppress weeds and invasive plants. These natural and man-made conditions take a heavy toll on your tree’s health, which result in the pre-mature death of your trees. 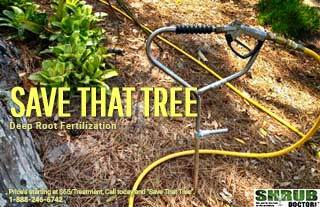 Restoring the health of your tree through deep root fertilization is an inexpensive alternative to tree removal. Keeping your trees in a healthy state of vigor also helps the tree fight off tree diseases and stress from predatory insects such as canker worms and aphids. 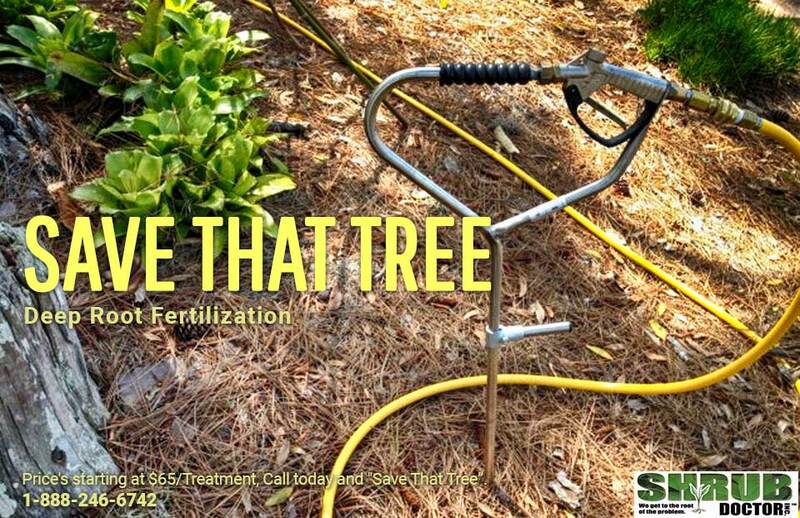 Deep root fertilization is a process where beneficial organic nutrients are injected into the root zone of the tree. 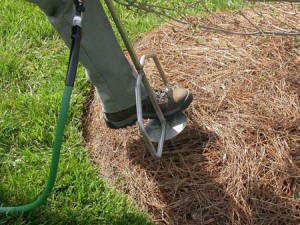 The soil injection begins just below the soil surface, and penetrates to a depth of 12-14 inches. Injections into the soil are placed about 18 inches apart, and progress in a grid pattern that covers the entire root zone of the tree. This deep root injection process delivers specially formulated organic solutions directly to the areas in need, and carries new colonies of beneficial bacteria and fungi to the soil. Shrub Doctor has ISA Certified Arborists on staff to provide complete evaluations of your large trees. We also consult with home owners associations to determine best practices with their community and street landscapes. 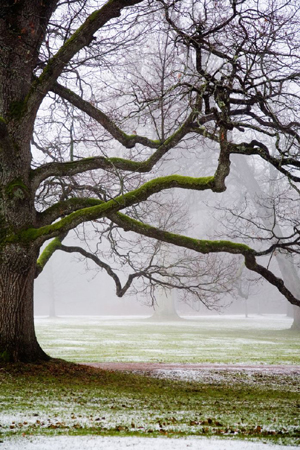 Give us a call today for a prompt assessment of your trees, we would be glad to help!